Why Does Your Innovation Lab Exist? Inspired by the other companies that have done the same and fearful of being disrupted by startups, several companies have opened innovation labs and startup accelerators. Examples of this include Telefonica’s Wayra, Jaguar Land Rover’s InMotion Ventures, EDF Energy’s Blue Lab and many others. The success of corporate innovation labs and accelerators has been mixed and this has led to questions of whether such programs are a good idea. This is a hard question to answer in a vacuum. When it is posed to me, I try to reframe the question by asking leaders a clarifying question of my own. Why does your innovation lab exist? Why did you set it up in the first place? What problems were you trying to solve? Once we know the reason why the lab exists, we can then have a conversation about whether it is good solution for what the company is trying to accomplish. Surprisingly, only a few leaders I have spoken to are able to provide a clear answer to this question. There seems to be a fear of missing out when it comes to innovation labs and accelerators. Other companies are doing it, great startups are emerging and so leaders feel compelled to do something. This leads to innovation labs that are set up with a mixture of contradictory objectives that make success hard to accomplish and measure. Leaders need to take a point of view about where the world is going and how their company is going to use innovation to respond. Clear strategic objectives around innovation must be made explicit at the company level. Then we can have a conversation about the right engine to accomplish those goals. An innovation lab or accelerator should not be set up until these strategic choices have been explicitly clarified. The goal of innovation is to ultimately impact the bottom line of the company and help it sustain in the long term. Several companies have created accelerators as a way to work with startups to explore new arenas and industries without investing too many resources. For example, Jaguar Land Rover’s InMotion Ventures is working with new companies such as Lyft, Cove and Voyage. In an interview with The Telegraph, Sebastian Peck, the MD of InMotion, noted how some of their investments are helping them to understand whether certain businesses are something they want to get into as an operator. Using innovation labs and accelerators as a form of R&D to learn about certain industries is a great idea, as long as leaders realise that R&D and innovation are not the same thing. Innovation is the combination of clever new ideas and technologies with sustainably profitable business models. So the question still remains – as we work with startups or internal teams to learn about new industries, how are we going to convert those learnings into long-term revenues for the company? We have to design our labs and accelerators to be able to extract insights and create value. Other companies are very explicit about using innovation labs to accomplish their bottom line goals. These leaders are focused on balancing their portfolio, adding new business models and revenues to the company. The biggest challenge these leaders face is what to do with successful innovations. Not every product or service from the innovation lab or accelerator will be successful. But once we have something promising, we need to figure out a way to scale that product or service. This is where innovation labs tend to struggle. It is very important for leaders to be clear about how they will scale successful ideas. Their choices range from creating new divisions within the business, launching new products as a part of current divisions or spinning out new startups as separate companies. My advice to leaders is to focus on one of these models for scaling and perfect the process for their company. However, if they insist on having all three models as options then they have to set clear criteria about when and how decisions are made to choose one option versus the others. Some leaders view innovation labs and accelerators as a way to change their company culture. This strategic goal is a good one, but success is much harder to come by. The first challenge is that innovation labs and accelerators are often set up as separate institutions from the main organization. This separation creates an otherness for both the people that work in the labs and the rest of the company. It is hard to change a culture that you are not viewed as being a part of. If the strategic goal is culture change, then the people based in the lab or accelerator have to work really hard to connect with the rest of the company. They cannot be viewed as a silo where all the ‘cool kids’ work and hangout. They have to open their doors and create meaningful conversations with the main company. Culture change takes patience and persistence – a characteristic most innovators may not have. The second challenge is that introducing culture change as a goal, may distract the innovation lab teams from their main function – i.e. creating new business models and revenues for the company. This is not a trivial concern. The easiest way to change a culture is to get early successes and share those stories with the rest of the business. The more successes the innovation lab gets, the more convincing their story becomes. 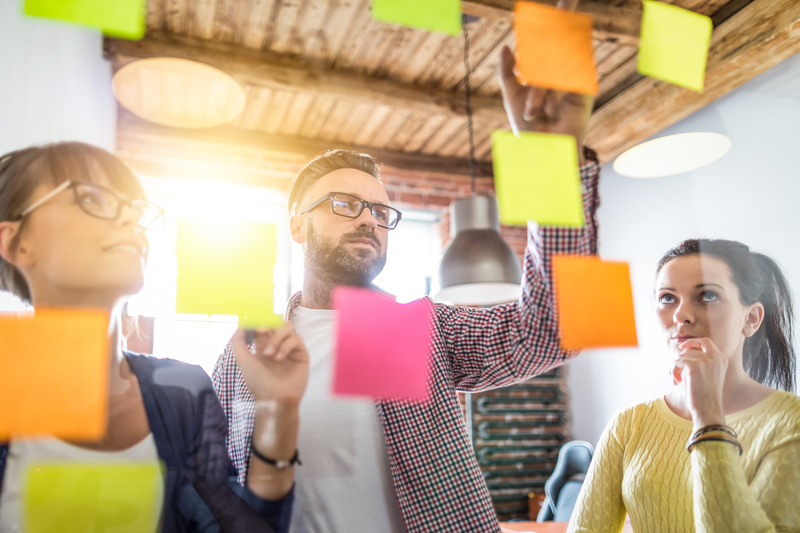 Leaders in the main company will be resistant to the concepts of lean startup and design thinking if all we have to show them are sticky notes and canvases. I believe that innovation labs should treat culture change as a secondary goal until they have a couple of success stories to share with the organization. These success stories can actually be main company projects that were struggling and the lab helped bring them to success. Not only will leaders appreciated this, but they will immediately see the value of lean innovation as a way of working. Ultimately, the innovation lab or accelerator has to create value for the parent company. If it fails to do that, it will eventually be shut down. Since there is money involved in keeping the labs going, the ultimate measure of success will be the labs contribution in net new revenue. This means that culture change and R&D have to be leveraged to serve that ultimate goal. The buy-in that we need from leaders is a commitment to the longer time horizons that it takes to bring new innovations to success. But even with that commitment, we should always have clarity on why the innovation lab exists, and use the right metrics to measure whether we are still on track.